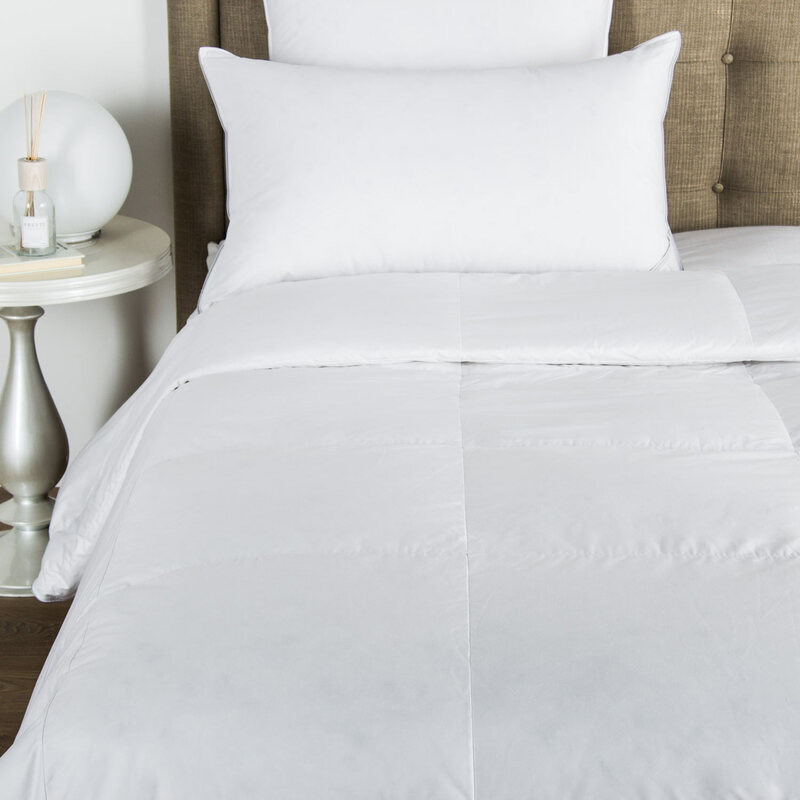 The Villa Silk Duvet Filler is filled with pure Mulberry long fiber silk and encased in 300 thread count smooth and lustrous long-staple cotton sateen. 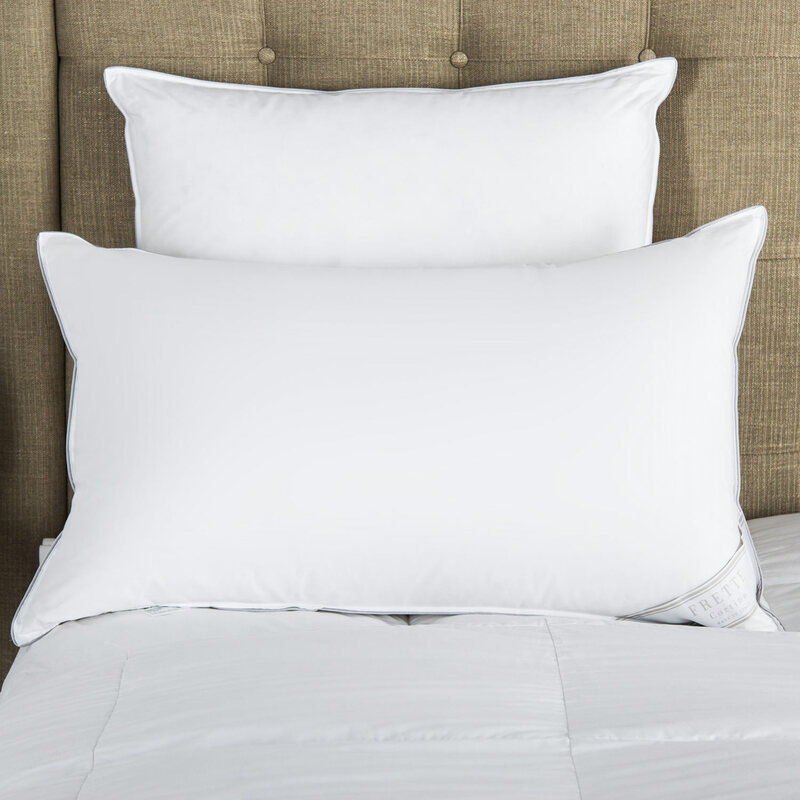 The filling of our Villa silk duvets is composed of enhanced pure Mulberry long fiber silk, encased in 300 thread count 100% cotton sateen. The particular length of the fibers allows stretching from edge to edge without any need for box stitching to keep the fibers in place. Naturally long Mulberry silk fibers offer the best insulation and heat retention properties thanks to their closed hollow structure, supreme moisture management and breathability factor. Machine washable. 100% silk, 100% cotton. Made in Italy. Machine wash in an oversized machine without a center agitator, using warm water and mild detergent on the delicate cycle. Do not use bleach or fabric softener. Repeat the rinse cycle an additional 1-2 times to ensure the detergent is completely removed. Dry using the low heat. Place a couple of clean tennis balls or dryer balls inside the dryer. Removing frequently to shake will help minimize wrinkling and aid the drying process. Dry well beyond the point where the outer fabric feels dry so that the down clusters will be fully dry - this often takes 3-4 hours. 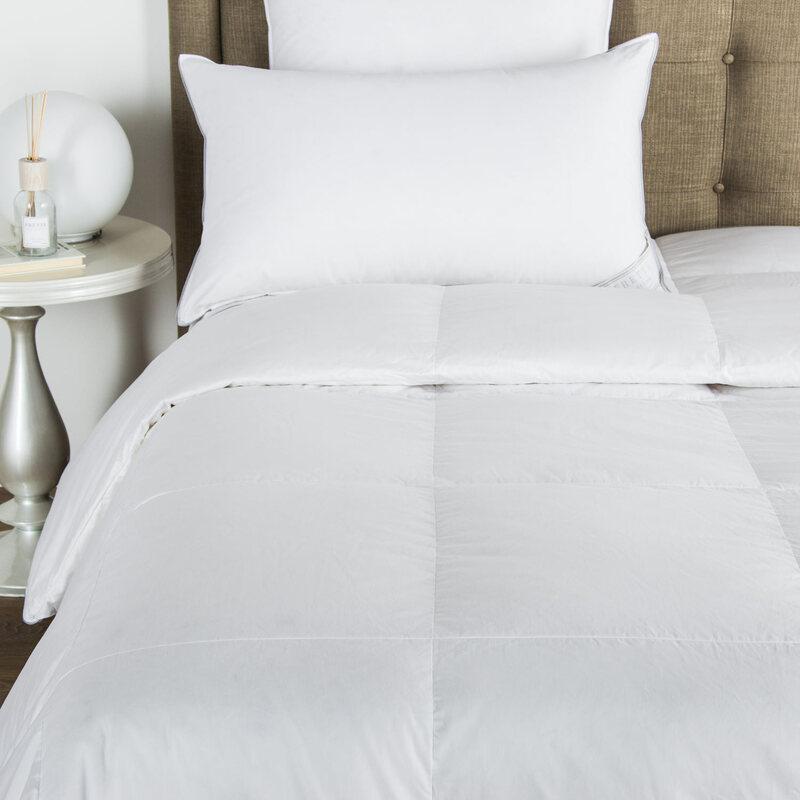 If possible, allow the comforter an additional 24 hours to air dry and release any moisture before placing inside a duvet cover. If you notice a lingering odor or clumping then the item was not fully dry when it was removed from the dryer.